Already understand information architecture, but want to learn more? 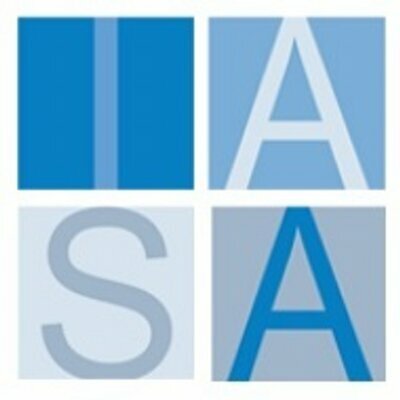 IASA Global’s Information Architecture course can fulfill your need. This advanced course focuses on information management role as part of a business technology strategy. After completing this course, you’ll not only know how to create great IA, you’ll also be an expert on it. This class can be taken either in person, or online, and will teach students everything they need for a solid foundation in information architecture. After taking this class, course participants will be able to provide leadership in information architecture and will be ready to move on to the associate level courses in Business, Infrastructure, Software, and more. To take the class, students need to have already studied the IT Body of Knowledge. Information architecture is all about making websites that are easy to navigate and will keep your customers coming back. When a content manager has a large volume of content or data to manage, it’s important to make sure that everything is well organized so that all users can find it. Information and content is only as valuable as people’s ability to discover it, so the role of an information architect is a critical one. This course is separated into five modules. The first is Information for Business. The instructors will talk about how vital information management is for businesses, and how to govern information. In the second module, Information Usage, the course explains how to determine the users of a site’s content, and when and why they use it. The instructors will also talk about the different devices that people access content on, and how to work with each of them. This module will also discuss usability and the different data tools that are available to designers. In module three, Data Integration, participants learn how to integrate data from multiple companies during a merger. The course will also cover the many different characteristics of data, and how they play into organizational strategy. In the next module, Data Quality and Governance, the class will cover information quality and compliance. Students will learn how to comply with relevant regulations, and the impacts that information and data can have on business. The final module will cover Advanced Information Management. Designers want to make sure that the refreshed website will continue to be useful for a long time to come so the instructor will talk about how to keep your data secure going forward. Managing content and data will go a long way toward making a website easy to navigate in the long term. Information Architecture is essential for creating a website that is easy for clients and employees to use. The more data and content that you have on a site, the more consideration the designer has to give to how that information is organized so that it’s easy to access. This course in information architecture will teach students how to utilize search and navigation bars in a way that makes it easy for everyone to find what they need through a site. This course will give students everything they need to get started. IASA Global’s course on information architecture provides a high-level view of data creation and management that compliments any working knowledge of information architecture. You probably won’t learn the fundamentals in this course, so it is not ideal for beginners. Instead, expect to learn deeper concepts that help develop thought leaders within the IA community. There are no strict prerequisites; however, students should have completed and have obtained a thorough understanding of the IT Body of Knowledge prior to taking this course.